Listen to "EXPOSED: The Defense Department -- DARPA Vader and the Evil Intel Empire Inside" on Spreaker. 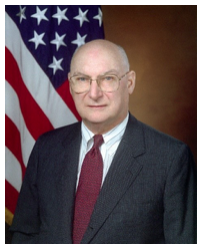 The Evil Emperor, as we call Andrew Marshall, was the director of the United States Department of Defense‘s Office of Net Assessment from 1973 to 2015. He was appointed by Richard Nixon and remained in office during all successive administrations that followed until his retirement on January 2, 2015. Marshall created the Highlands Forum as a secret think tank for warfare innovation. All meetings are invitation only and not open to the public and no written records are kept. Marshall created this type of secret platform so that no one could prove the Highland Forum exists or has the greatest power over tech warfare on the planet. DARPA and the Highlands Forum have essentially taken over the world and few people have noticed. From creating the devices that control all nuclear weapons to incubating the technologies that created the Internet (originally ARPANET), Intel microprocessors, Cisco routers, Google search engines, Facebook, the Internet of Things, I-phones, Microsoft software, MacAfee security software, and all conventional and digital warfare devices, among many others. The Highlands Forum has been the headquarters of the Evil Imperial Empire for five decades.The Evil Emperor Andrew Marshall has the blood of millions on his hands and yet he is considered an America hero instead of a warlord criminal. Ever wonder why Intel used to run those warm fuzzy ads letting us know that there was an “Intel Inside,” as if we had a choice of what microprocessor was inside our computer? They had a monopoly on microprocessors for decades and certainly end-use consumers didn’t have a choice of what components were inside their computers. 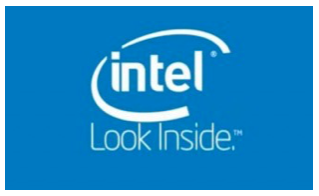 Why would Intel spend money on ads to make us feel good about Intel? For goodness sake, it is just a microchip in your computer. 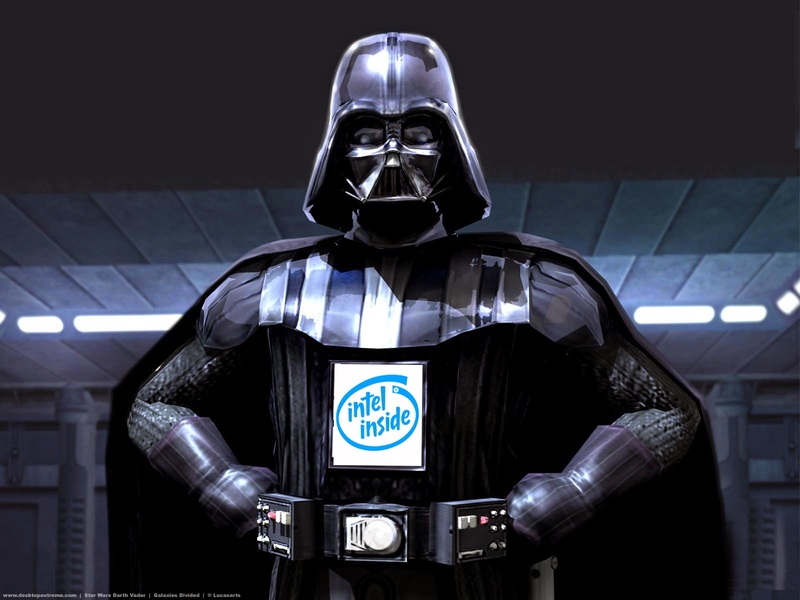 Key Point: What if we were to tell you that inside every Intel microprocessors is a smaller processor that lets the Sith Lords at Intel – who work for the Department of Defense –control every aspect of your computer remotely no matter what encryption codes you use. All Intel microprocessor chips have a built-in backdoor that allows complete remote access to a PC, your PC, through a second physical processor embedded within the main processor which has its own operating system embedded on the chip. It is being advertised as something that will allow IT professionals the ability to remotely troubleshoot a PC. Intel’s latest x86 chips contain a secret backdoorwith an embedded subsystem called the Management Engine (ME) that functions as a separate CPU and cannot be disabled, and the code is proprietary. The Management Engine is a dedicated micro-controller on all recent Intel platforms. The first versions were included in the network card and later moved into the chipset where it shares flash with the BIOS but is completely independent of the CPU. It allows IT professionals to view the contents of hard drives, check the memory, hunt for problems on a machine remotely, or take over the system entirely. Even an encrypted hard drive can be monitored and controlled by the “processor within the processor” that already has your encryption key. There is more than just the NSA monitoring your calls, emails, and transmissions — there is Intel (DARPA) “Inside” your computer. Intel collects “intelligence” but it also provides a backdoor to control, or turn off your computer at will just like it has been demonstrated that Cisco routers have a backdoor open to the NSA. A backdoor is a method of bypassing normal authentication in a cryptosystem used for securing unauthorized remote access to a computer. Key Point: The word Intel was used for this DARPA product because it is collecting personal INTELLIGENCE from YOU that can be used against YOU anytime the Evil Empire decides it is to be done. Why does DARPA, through Intel, have open access to all of your files and your computer? DARPA funded all of the original development of microprocessors. Intel is a front for DARPA and the military efforts to create, control, and weaponize all digital platforms through cyber-warfare. DARPA, ARPARNET, DARPANET, the Internet, and microprocessors are military creations that were allowed to come into the public market place only after the Department of Defense, and the CIA through In-Q-Tel, installed backdoors to control these powerful digital platforms of war fighting. Some European-made chips used in defense contracts have a built-in “kill switch” that can be accessed remotely to disable a microprocessor remotely on weapons that use the chip. The Pentagon has realized that it no longer controls who manufactures the chips that go into its increasingly complex systems. Nearly every military system today contains some commercial hardware. No entity, no matter how well funded, can afford to manufacture its own safe version of every chip in every piece of equipment. Vetting a chip is nearly impossible and requires a scanning electron microscope to examine the many layers of a chip and the millions or billions of transistors. Semiconductor chips are made in Singapore, Taiwan, China, Europe, but Intel designs and manufactures all their own chips in their own fabrication plants in America. Defense Science Board, which advises the DoD on science and technology developments, warned in a report that the continuing shift to overseas chip fabrication would expose the Pentagon’s most mission-critical integrated circuits to sabotage. The board was especially alarmed that no existing tests could detect such compromised chips, which led to the formation of the DARPA Trust in IC program. Each year, secure government computer networks weather thousands of attacks over the Internet from places where most of our electronics are being manufactured. Any malefactor who can penetrate government security can find out what chips are being ordered by the DoD and then target them for sabotage. In other words, DARPA Vader and the Evil Emperor are in open warfare with the rebellion that has hi-jacked the microprocessing industry in the infiltrated the Imperial Command. Fellow Patriots and Rebels of the Alliance, we have taken the plans of the Galactic Empire’s Death Star and trust that you will know what to do with this Intel. Rebels have been preparing themselves since 1977, when the first Star Wars was released, to face the real Evil Empire, Darth Vadar, the Sith Lords, and the Imperial Command. This is no longer a science fiction fantasy or sequel to the next Star Wars. This is the real war and all Rebels of the Alliance are called to save the galaxy, or at least western civilization. A Citizens Intelligence Report was previously given in a recent article. If you have not armed yourself with this intelligence, please do so now. The CIA and Deep State Exposed. We need all Alliance Rebels to analyze the Death Star’s plans and identify vulnerable exhaust ports that connect to the main reactor. Microprocessors, the Internet, Cisco Systems, Google, and Intel were all DARPA projects that were allowed to flourish with new technologies created and funded by the military for cyberwarfare. Cisco System’s “Internet of Things” plants net-bots in all devices under its control that can be activated remotely and used for cyber-attacks. In-Q-Tel contracts almost all of its work through SAIC (Science Applications International Corporation) which changed its name to Leidos in 2013. Leidos is among the top 10 largest defense contractors in the U. S. and has a symbiotic relationship with the NSA and U. S. intelligence agencies. The Highland Forum, DARPA, and In-Q-Tel are secret multi-national high-tech think tanks for inventing and controlling innovations that can be turned into weapons. Military and information technology experts gather at the Forum meetings to consider the impacts of the globalization of IT on U. S. interests and warfare. The Forum developed the idea of “network-centric warfare” which is now a top concern of the military and the corporations that serve it. In 1973, DARPA initiated a research program to investigate techniques and technologies for interlinking packet networks of various kinds. The objective was to develop communication protocols which would allow networked computers to communicate transparently across multiple, linked packet networks for the use of defense contractors. This was called the “Internetting Project” and the system of networks which emerged from the research was known as ARPANET, later to be called Internet. In 1986, the U.S. National Science Foundation (NSF) initiated the development of the NSFNET which, today, provides a major backbone communication service for the Internet. The National Aeronautics and Space Administration (NASA) and the U.S. Department of Energy contributed additional backbone facilities in the form of the NSINET and ESNET respectively. Thus, the electronic connectivity of the Internet was advanced with government funding. A great deal of support for the Internet community has come from the U.S. Federal Government, since the Internet was originally part of a federally-funded research program and, subsequently, has become a major part of the U.S. research infrastructure. Once the ARPANET proved to be effective, routers were created that could handle exchanges between systems and computers. In 1998, virtually every Internet exchange went through a Cisco router. In 2010, a researcher at IBM publicly revealed a flaw in a Cisco operating system that allows a hacker to use a backdoor that was supposed to be available only to law enforcement agencies. The intruder could hi-jack the Cisco device and use it to spy on all communications passing through it, including the content of e-mails, leaving products vulnerable to attack, particularly ubiquitous software programs like those produced by Microsoft. These backdoors put millions of customers and their private information at risk and jeopardizes the security of electrical power facilities, public utilities, and transportation systems. The United States intelligence community funded, nurtured and incubated Google as a military weapon to control information. Seed-funded by the NSA (DARPA) and CIA (In-Q-Tel & SAIC), Google was one among a group of private sector start-ups co-opted by U.S. intelligence to control information warfare. In 1994 (the same year the Highlands Forum –DARPA’s boss — was founded under the stewardship of the Office of the Secretary of Defense, the ONA, and DARPA) two PhD students at Stanford University, Sergey Brin and Larry Page, made their breakthrough on the first automated web crawling and page ranking application. That application remains the core component of what eventually became Google’s search service. Brin and Page had performed their work with funding from the Digital Library Initiative (DLI), a multi-agency program of the National Science Foundation (NSF), NASA and DARPA. The NSA needed to control and monitor digital information, particularly the data flowing over the Internet. With its millions of customers around the world, Google is effectively a directory of people using the Internet. It stores users e-mail addresses and knows where they’re physically located, when they log in, and what they search for on the web. Google has a profile on every user. The government can “command” that any company must turn over that information, and it does so as part of the NSA’s Prism program, which Google had been participating in for years by the time it signed the cooperative agreement with the NSA. No intelligence organization can survive if it doesn’t know its enemy. As expansive as the NSA’s network of sensors is, it’s sometimes easier to get precise intelligence about hacking campaigns from the targets themselves. That’s why the NSA partnered with Google. Google’s Sergey Brin is just one of hundreds of CEOs who have been brought into the NSA’s circle of secrecy. Starting in 2008, the agency began offering executives temporary security clearances, some good for only one day, so they could sit in on classified threat briefings. The NSA helps the companies find weaknesses in their products. But it also pays the companies not to fix some of them. Those weak spots give the agency an entry point for spying or attacking foreign governments that install the products in their intelligence agencies, their militaries, and their critical infrastructure. Microsoft, for instance, shares zero day vulnerabilities in its products with the NSA before releasing a public alert or a software patch. McAfee, the Internet security company owned by Intel, provides the NSA, the CIA, and the FBI with network traffic flows, analysis of malware, and information about hacking trends. Companies that promise to disclose holes in their products only to the spy agencies are paid for their silence. To an extent, these openings for government surveillance are required by law. Telecommunications companies in particular must build their equipment in such a way that it can be tapped by a law enforcement agency presenting a court order. But when the NSA is gathering intelligence abroad, it is not bound by the same laws. The surveillance it conducts via backdoors and secret flaws in hardware and software would be illegal in most of the countries where it occurs. The Homeland Security Department conducts meetings with companies through its “cross sector working groups” initiative. These sessions are a chance for representatives from the large group of companies with which the government shares intelligence to meet with one another and hear from U.S. officials. The attendees at these meetings often have security clearances and have undergone background checks and interviews. Between January 2010 and October 2013, the period for which public records are available, the government held at least 168 meetings with companies just in the cross sector working group. There have been hundreds more meetings broken out by specific industry categories, such as energy, telecommunications, and transportation. Through this exchange of intelligence, the government has created a cyber security business. AT&T and CenturyLink are in effect its private sentries, selling protection to select corporations and industries. AT&T has one of the longest histories of any company participating in government surveillance. Most phone calls in the United States pass through AT&T equipment at some point, regardless of which carrier initiates them. The company’s infrastructure is one of the most important and frequently tapped repositories of electronic intelligence for the NSA and U.S. law enforcement agencies. CenturyLink, which has its headquarters in Monroe, Louisiana, has been a less familiar name in intelligence circles over the years. In 2011, the company acquired Qwest Communications, which is now a part of the NSA’s extended security apparatus. DARPA’s history is littered with death and destruction. DARPA and In-Q-Tel, through the Highlands Forum (Group), have driven research and development for the military that has cost American taxpayers trillions. This same technology is also shared with countries throughout the world through open source sharing. The U. S. military wants our enemies to have the technology so that they can be spied upon with ever more sophisticated technology and attacked with ever-better weapons. Key Point: If both sides have the same technology and weapons, then the Military-Industrial Complex always needs more money to spend on bigger and better weapons, continually. Areas of focus and discovery for DARPA over its history include: NASA space projects, information processing, ARPANET (Internet), ballistic missile defense, nuclear test detection, counterinsurgency, computer processing, behavioral sciences, materials sciences, sensors, surveillance, radar, infrared sensing, x-ray/gamma ray detection, global positioning satellites, information processing, tactical technologies, time-sharing systems, wide-area packet switching networks, packet radio networks, packet satellite networks, artificial intelligence, speech recognition, signal processing, robotics, hypermedia systems, virtual reality, personal computing, space technology, tactical armor, anti-armor programs, infrared sensing for space-based surveillance, high-energy laser technology, antisubmarine warfare, advanced cruise missiles, advanced aircraft, defense applications of advanced computing, integrated circuit research, submicrometer electronic technology and electron devices, very large-scale integration, charged particle beams, automatic target recognition, space based sensing, propulsion, aerospace planes, hypersonic research, strategic computing, advanced processing, networking technologies, lightweight satellites, interstellar travel, X-planes, computer security, and cyberwarfare, to name a few that have come into the public domain. The list above is only the tip of the iceberg for DARPA projects. We do not know of the projects that are still classified, which could potentially be a much greater list. Every project of DARPA and In-Q-Tel have been weaponized before they are shared with the companies who then are the “front” for a DARPA sponsored company. DARPA and In-Q-Tel keep the encryption codes and build in backdoors so that they can always attempt to control the military weapons that have been released into the corporate world for public use. Below is a list of DARPA projects on the drawing board, or at least the ones that we know about. 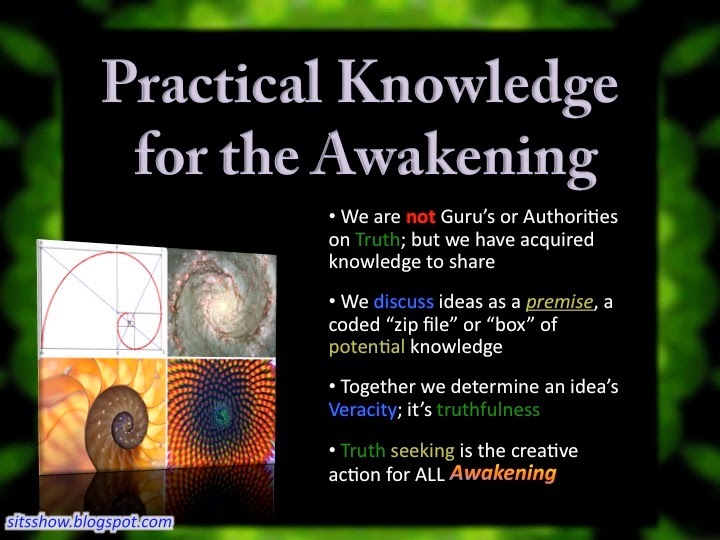 You might notice that the ideas are completely insane and only perpetuate continuous warfare. We think it fair to say that any reasonable person would agree that DARPA Vaderis simply evil and focused on killing, warfare, and manipulation science. Just the list above shows the insanity driving this agency that is not being controlled by any governmental agency outside of the military. There is no limit to research and development for warfare and any idea that advances warfare is funded and put into production before anyone can object. According to DARPA and In-Q-Tel, innovation and technological advances must first be a weapon that can be controlled by its makers – the military. Investigate, audit and then defund DARPA, In-Q-Tel and the Highlands Forum. End the Highlands Forum and investigate all participants for industrial and military espionage. Stop using integrated circuits, chips, and microprocessors from foreign countries. Investigate Cisco, Google, Intel, Facebook, Microsoft, Apple, and other DARPA sponsored and funded technology companies and seize ownership of the companies for the U. S. taxpayers whose tax dollars created these fronts. Seize the assets of all companies found to use backdoors in their products for any reason. Stop the NSA from using backdoors on routers, microchips, and processors and close those avenues of manipulation and surveillance. 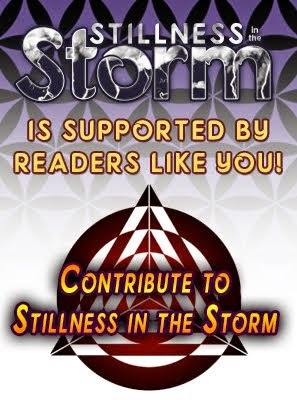 There may be other strategies and tactics that we haven’t listed, and we welcome your ideas and call to action to your community of Rebels and Patriots. We ask that citizens around the world call on their inner Hans, Luke and Leia. The story of Star Wars is more than a science fiction movie. The characters and plot are deeply embedded memes that actually point to the truth about forces in the world that wish to destroy humanity. Guided by the spirit of Obi-Wan, we can each find the FORCE within us to destroy the Death Star created by DARPA and the DoD…and, yes, save the world. The original headline of this article was altered from "DARPA Vader and the Evil Intel Empire Inside."